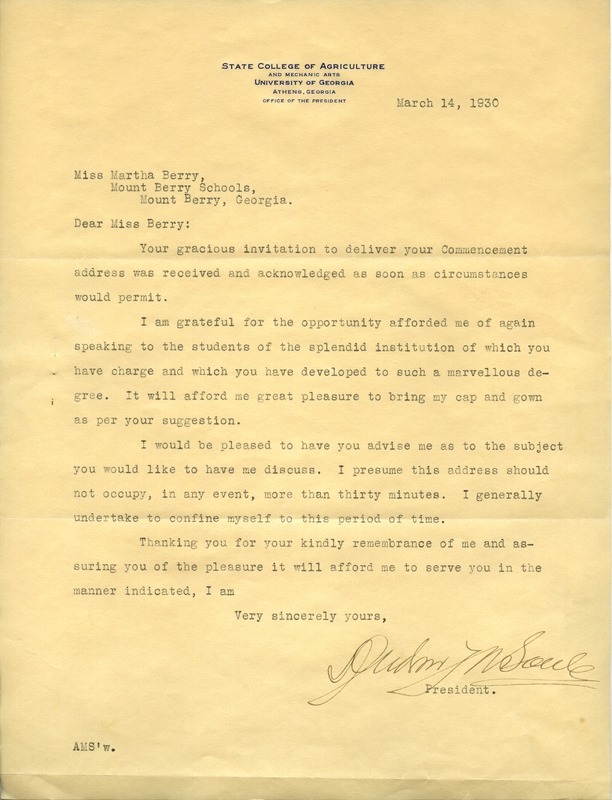 In this letter Snelling accepts Martha Berry's invitation to speak at commencement. Charles M. Snelling, “Letter to Martha Berry from Charles M. Snelling.” Martha Berry Digital Archive. Eds. Schlitz, Stephanie A., Jordan Brannen, Cameron Atwood, Meg Ratliff, et al. Mount Berry: Berry College, 2014. accessed April 23, 2019, https://mbda.berry.edu/items/show/14023.